A house made using a rammed-earth construction technique developed to rebuild a village destroyed by earthquake has received the title of World Building of the Year 2017 at the World Architecture Festival awards. The Chinese University of Hong Kong developed the technique to help the residents of Guangming Village, which was badly damaged in the 2014 Ludian earthquake, to rebuild using traditional materials. Inhabitants had turned towards brick and concrete to reconstruct, but the price of the materials became unaffordable. As most of the village was originally built using rammed earth, a new more earthquake-proof method of using this construction technique was developed by researchers from the university. 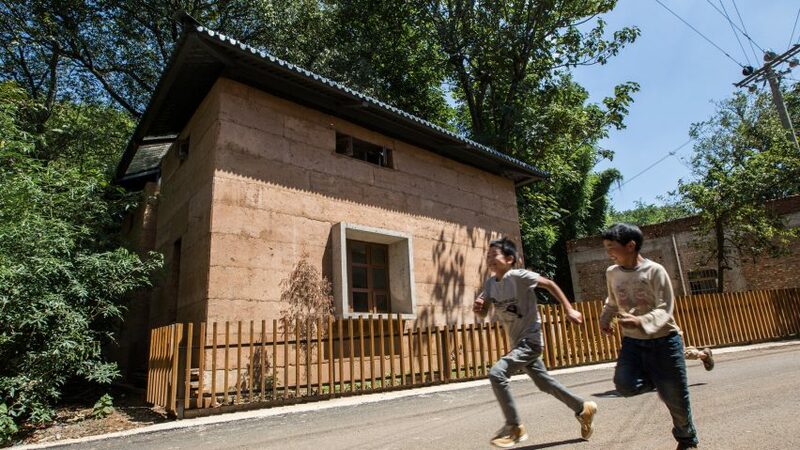 Steel and concrete bars set into the walls are designed to improve resistance to seismic activity, and the team tested out its plans by building a prototype home for an elderly couple in the village. The project was selected by this year's Super Jury, which this year was chaired by James Timberlake of Kieran Timberlake. Also on the panel were OMA partner Ellen van Loon, WOHA founder Mun Summ Wong, Ian Ritchie of Ian Ritchie Architects and Christoph Ingenhoven of Ingenhoven Architects. The project was selected ahead of 16 other category winners announced on day one and day two of the festival, including a limestone-clad museum dedicated to Palestinian culture by Heneghan Peng and a plant-covered home in Ho Chi Minh City by Vo Trong Nghia.